There are a lot of misconceptions out there about what a Revocable Living Trust (RLT) does and doesn’t do. This post is meant to shine some light on the two main reasons to use a RLT as part of your family’s estate plan: 1) Probate Avoidance and 2) Control during Incapacity. First, probate is a public court process where a judge declares an individual’s will valid and appoints the Executor to administer the estate. When a will is probated, it becomes a matter of public record and anyone can see the assets in the decedent’s estate and to who is entitled to an inheritance. On the other hand a RLT is a private contractual arrangement between the Trustee and the beneficiaries with no court supervision required. If privacy is a concern, then an RLT may make sense for you. 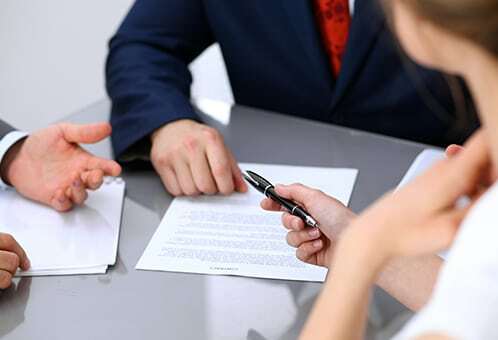 Additionally in many states, such as New Jersey and New York, the probate process is relatively uncomplicated and inexpensive; however, in Florida and California the probate process is far more complicated, expensive and time consuming. Therefore, typically we advise a client to establish an RLT primarily when they own property out of state and they want to avoid probate in that state. I would like to stress that in order for an RLT to avoid probate, all of the individual’s assets must be titled in the name of the RLT. If not, the assets remain in your estate and will pass under your Will through the probate process. As you can imagine if this mistake occurs, then the individual essentially defeated their purpose for creating the RLT in the first place. My recommendation is, that if you do have an RLT be sure to contact an Estate Planning Attorney to ensure that the assets are properly titled in the name of the RLT. Second, a well-drafted RLT provides protection in the event the any of the individuals involved (i.e. Grantor, Trustee, Beneficiaries) become incapacitated. If the individual who created the RLT becomes incapacitated, he/she already appointed a Trustee to manage the assets on his/her behalf. If the Trustee becomes incapacitated, the successor Trustee provisions appoint another to act in the Trustee’s stead to provide who will be able to manage the beneficiary’s assets in the event of incapacity. If the RLT has a Supplemental Needs Trust provision, protections are granted to a beneficiary with a disability. One of the biggest issues we see in our practice is the inability to handle financial and business affairs for an incapacitated person. As you can see having a correctly drafted RLT with a well-planned Trustee Succession and Supplement Needs Trust provision provides this protection. If the reasons above resonate with you, I strongly suggest you consult with an Elder Law Attorney familiar with these considerations to discuss if an RLT is appropriate for your situation. ‹ What does it mean to be someone’s Agent under a Power of Attorney?